The Battle of Passchendaele raged for 100 days, leaving half a million men dead or wounded. This year marks its centenary, and cruise lines are offering tours to Flanders Fields for visitors to pay their respects to the fallen of the First World War. 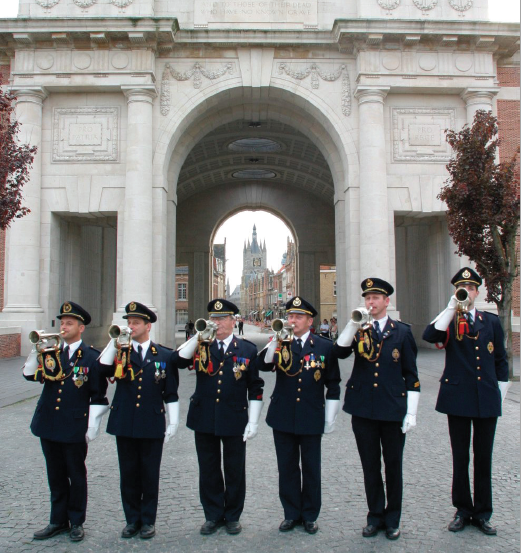 Every night at 8 o’clock, the haunting sound of the Last Post echoes through the streets of Ypres. As the fallen of the First World War are saluted, police stop the traffic and hundreds, sometimes thousands, of visitors gather to pay their respects at The Menin Gate, the British Memorial to the Missing. From schoolchildren to veterans, visitors are moved to tears on this site where millions of British soldiers left for the Front, so many never to return. Inscribed on stone panels inside the gate are the names of 54,896 British and Commonwealth troops who fell in Flanders Fields. A further 33,783 are commemorated on the cemetery wall at Tyne Cot, five miles to the east. The largest British war cemetery in the world, Tyne Cot contains the graves of 11,961 servicemen, many of whom died in 1917, during the three-month battle to take the shattered village of Passchendaele. No one living today remembers these terrible events but many people are drawn to where they took place, perhaps to see where family forebears fought and died. Ocean cruise lines include a tour of Flanders Fields in itineraries from Zeebrugge, one hour’s drive from Ypres (Ieper in Flemish), while river cruise passengers can visit from various moorings, including Antwerp and Kortrijk, in western Flanders. Reduced to rubble by constant bombardment, Ypres came to symbolise the meaningless slaughter of so many soldiers during the First World War. 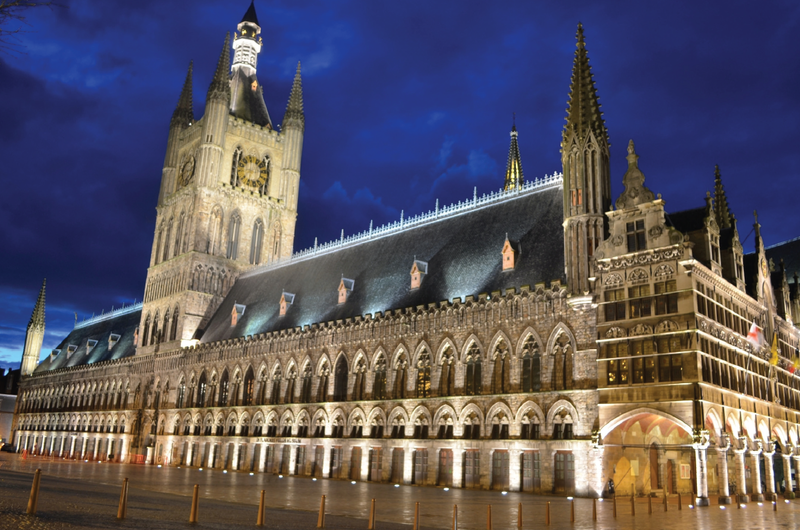 Every property has been rebuilt, including the beautiful Cloth Hall in the main square, which houses the magnificent In Flanders Fields Museum. 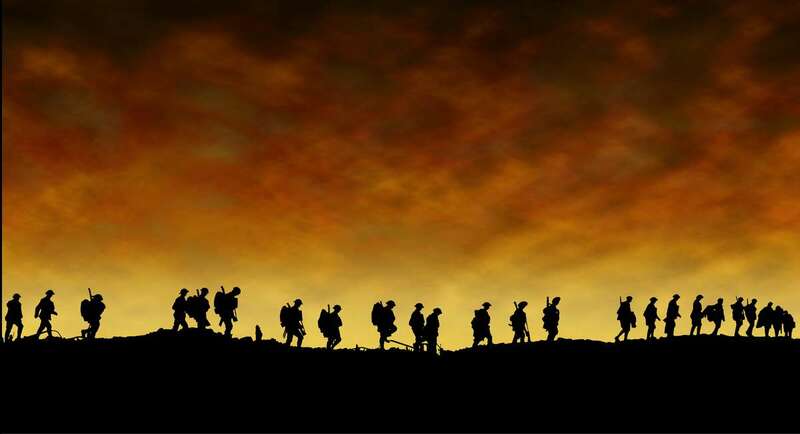 This offers a comprehensive introduction to the First World War, with interactive displays and exhibits using the personal stories of soldiers, women and children to take visitors through the dark days of 1914-18. 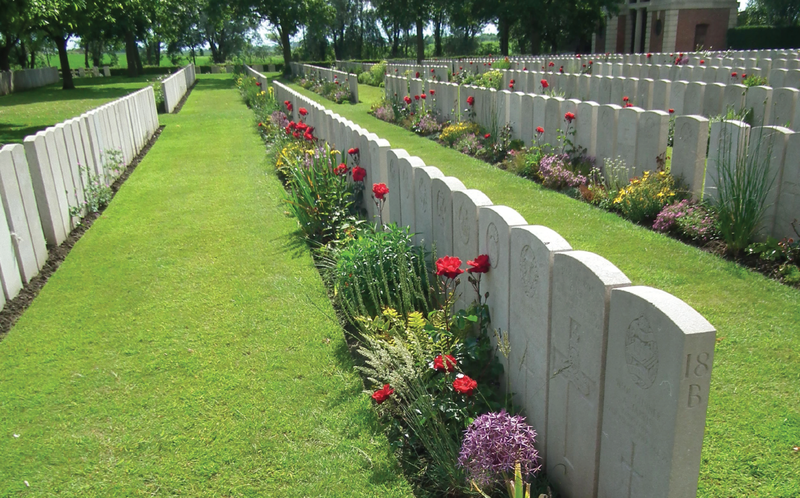 Museums, cemeteries, memorials and other battlefield sites can all be visited on the Ypres Salient route. Cruise lines provide expert guides to take passengers on tours – though if you wish to explore a specific point of interest, perhaps with a link to family history, you should consider arranging a private tour. In a parkland setting, five miles east of Ypres, this museum explains how battle tactics developed, beginning with cavalry charges but soon bogging down into the horrors of trench warfare as each side tried everything it could – including poison gas – to break the deadlock. In the museum grounds you can see authentic recreations of British and German trenches, before taking the mile-and-a-half Road to Passchendaele walk from the museum to Tyne Cot. Named by the Northumberland Fusiliers, who thought the German fortifications here looked similar to Tyneside workers’ cottages, this site has been gifted in perpetuity by the Belgian people. At the top of the cemetery is a visitors’ centre that overlooks the terrain where the Allied soldiers once advanced at terrible cost. The First World War was a tragedy for both sides, and this sombre cemetery contains 44,292 German burials, including more than 3,000 cadets and student volunteers. The entrance has two panelled rooms with inscriptions naming the missing, who are buried in a mass grave of 25,000, marked by flat stones and a sculpture of four mourners. Langemarck is off the N313, on the Ypres to Poelkapelle road. This former Field Ambulance station includes the grave of Captain Noel G Chavasse VC, MC, RAM. Serving as a doctor, he died of injuries sustained while rescuing wounded men from no man’s land during the Battle of Passchendaele. Chevasse was posthumously awarded a bar to his VC – the only person so decorated during the First World War. Messines (now Mesen, the smallest city in Belgium) was considered a vital strategic objective because its relatively high position commanded the plain below. Fighting here on June 7, 1917 was the prelude to the Battle of Passchendaele. There are 1,534 Commonwealth servicemen buried or commemorated at the cemetery, and at the entrance is a memorial to 840 New Zealanders who died and have no known grave. From the cemetery at Messines a wooden path takes visitors to the water-filled mine crater made by one of the six huge explosions on March 27, 1916, during the attack on St Eloi. Other craters, from June 7, 1917, include the Lone Tree Crater in Wijtschate (the Pool of Peace) and the Caterpillar Crater near Hill 60 at Zwarteleen. Allied soldiers gave almost every Belgian place a British name because they found Flemish impossible to pronounce. Ploegesteert became Plugstreet, and the site is best known for the Christmas Truce of 1914 when British and German troops left their trenches to play a football match. An impressive circular monument guarded by two stone lions bears the names of 11,447 British soldiers missing in action. An interactive display and film can be viewed at the Plugstreet 14-18 Experience, eight miles south of Ypres on the N365, via Mesen. Medical Officer Colonel John McCrae wrote the poem In Flanders Fields at this former dressing station by a canal bank in Diksmuidseweg. There is a memorial to him here, and a cemetery of 1,000 British graves. Among them is that of Private Valentine Strudwick, who was just 15 years old when he died in January 1916. When a business estate was being built at Boezinge near the Ieper-Yzer canal in 1997, trenches were revealed and the bodies of 205 soldiers recovered. The Yorkshire trench was restored and can now be visited – though it is a somewhat surreal sight among industrial sheds and wind turbines. Urge your guide to include a visit to the Every Man’s Club at Talbot House, which became a home-from-home for all ranks. Now a place of pilgrimage (Harry Patch, the last surviving British WW1 veteran, loved to visit in his final years), the property is part-run by volunteers and there is an excellent museum. The atmosphere is still informal and you can even stay the night here. Next to this site was the biggest evacuation hospital in the Ypres Salient. Alongside grew the second largest military cemetery in Belgium, with more than 10,784 graves. The visitors’ centre tells a comprehensive story, and you can look for the grave of Staff Nurse Nellie Spindler, who was killed by a German shell and buried with full military honours – one of only two British female casualties to be interred in Belgium. Visitors to military war graves find themselves overwhelmed by the beauty, simplicity and serenity of cemeteries tended by the Commonwealth War Graves Commission. Uniform rows of white headstones in manicured gardens are instantly recognisable as Commonwealth soldiers’ graves, but not many visitors realise that these cemeteries owe their existence to the vision of one man, Sir Fabian Ware. Ware was neither a soldier nor a politician but the commander of a British Red Cross mobile unit. He was so shocked by the scale of casualties in the Great War that he decided he must find a way to ensure the final resting places of the dead would not be lost forever. He organised his unit to record and care for all the graves they could find, and by 1915 their work was given official recognition by the War Office and incorporated into the British Army as the Graves Registration Commission. In May 1917 the Imperial War Graves Commission was established, with the Prince of Wales as president and Ware as vice-president. He organised his unit to record and care for all the graves they could find, and by 1915 their work was given official recognition by the War Office and incorporated into the British Army as the Graves Registration Commission. In May 1917 the Imperial War Graves Commission was established, with the Prince of Wales as president and Ware as vice-president. The practice of non-repatriation had become established as the conflict progressed, meaning that those who died on active service abroad were buried there. The decision was a practical one – it was felt that it was simply not possible to bring back hundreds of thousands of bodies from France and Flanders, and any attempt to do so would have a disastrous effect on home-front morale. After the Armistice, once land for cemeteries and memorials had been guaranteed, the task of officially recording the details of the dead began. By 1918 some 587,000 graves had been identified, and a further 559,000 casualties were registered as having no known grave. Three of the most eminent architects of the day – Sir Edwin Lutyens, Sir Herbert Baker and Sir Reginald Blomfield – were chosen to design and construct the cemeteries and memorials, while author Rudyard Kipling was brought in to advise on the inscriptions. Ware asked Sir Frederic Kenyon, director of the British Museum, to consider the architects’ differing approaches, and his report emphasised equality as the core ideology – outlining the principles that the Commission follows to this day. In 1921 the Commission built three experimental cemeteries. Garden designer Gertrude Jekyll advised on the planting, and the architects created a walled cemetery with uniform headstones in a garden setting. Sir Reginald Blomfield’s Cross of Sacrifice and Sir Edwin Lutyens’ Stone of Remembrance were the formal features and became the template for the Commission’s building programme. The Commonwealth War Graves Commission has since grown, and now takes responsibility for the commemoration of 1.7 million military casualties at 23,000 locations in 153 countries around the world. One of the most tragic features of the fighting in the First World War was the number of casualties whose bodies were never recovered. The Menin Gate was the first Memorial to the Missing, and when it was unveiled in July 1927, Field Marshal Lord Plumer declared to the bereaved: “He is not missing, he is here”. The Battle of Passchendaele (the Third Battle of Ypres) was fought from July 31 to November 10, 1917. It was one of the bloodiest battles of the First World War, compounded by the heaviest rain in 30 years, which turned the battlefield into a quagmire. Men, horses and tanks literally sank into the mud. The British commander-in-chief, Field Marshal Sir Douglas Haig, had launched his Flanders Offensive to relieve French troops in the south and to stop the Germans deploying U-boats from Belgian ports, but the objective shrank to taking the ruined village of Passchendaele. Some 500,000 Allied and German soldiers were lost or injured during the fighting before Allied forces captured Passchendaele – having gained just five miles of ground. An award-winning journalist and editor with more than 30 years' experience in newspapers and magazines. Lesley combines her love of arts, history, gardens and wildlife to write inspiring features.